The New Hampshire wall murals in this collection exude the characteristic charm and natural splendor of the Granite State and are sure to transfer some of that beauty and energy onto your walls. The murals transport your space to the rivers, bridges and mountains of New Hampshire as they enliven your walls with photographs of the same. 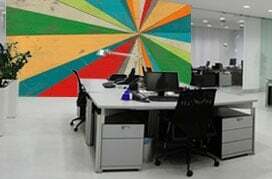 If you’re looking to open up a small office space or create the illusion of a brighter, larger room, these wallpaper murals offer the perfect solution. They serve as faux windows, providing you gorgeous views while enhancing the appearance of your room. Featured among these murals is the Portsmouth Harbor Light, also known as Fort Point Light, New Castle Light and Fort Constitution Light. This majestic structure is the only lighthouse on the mainland of New Hampshire and is not normally open to the public. The mural gives you a chance to enjoy a view of the beautiful lighthouse everyday. Many of New Hampshire’s local and state routes have covered bridges, some of which are featured as wallpapers in this collection. These include a charming red covered bridge and the Groveton Covered Bridge over the Ammonoosuc River. This bridge is restricted to foot traffic and the perspective featured here adds depth and character to your space. The often photographed Bath Bridge, located in the town of Bath, NH is also included. New Hampshire’s natural beauty is showcased in the murals of Swift River rapids and the fall colors seen on its banks. One of the most interesting murals of the collection is the photograph of the Mount Washington Cog Railway. This is considered the world’s first mountain-climbing cog railway and the second steepest. The railway is still in operation and climbs Mount Washington. 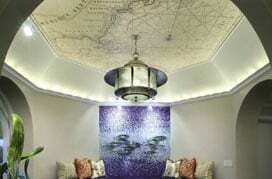 No matter which type of mural you choose, you can be sure of taking your interior decor to new heights with this collection of New Hampshire wall murals.